This case study would be very interesting for you if you are part of Steel industry. The researcher name, technology, and suggestions have been changed to maintain confidentiality but retain the thought process. Todd*, a researcher representing the R&D team at a renowned steel company in Germany, recently contacted us in the pursuit of finding a solution to one of the problems they were facing, related to the usage of Direct Reduced Iron (DRI). Todd was looking for efficient ways to decrease the content of unreacted iron oxide in the final output of DRI, which at times had been as high as 20% by weight. Simply put, he was trying to comprehend how the carbon content in sponge iron in reduction furnace could be increased. Todd did not rely on the conventional way of finding a solution to his problem by churning through surplus amount of data in the form of patents and literature available on this problem. Rather, Todd was smart for not relying on the old methods of reading, and reading to find the solution. Considering the amount of information Todd himself would have to comb through, the company would have certainly not waited for the results hopping up after months or at times years. Further, it would have been really cumbersome for Todd to line up the results in a consumable form, from which he and the company would have been able to draw some concrete solutions. Todd being associated with one of our regular clients for prior-art searches had some background knowledge on how GreyB has the knack of providing a chartable course in R&D studies- by providing precise information on the problems that are crippling an industry, and the solutions that have been developed so far. Knowing the current problems an industry is trying to solve, and the results/benchmarks which have been set so far, can save an R&D team from ruining millions, and at times billions of dollars. When we got to know about Todd’s problem, we knew that it was a timeworn problem. Thus, here we had to compare and contrast all the solutions identified in the patent literature and research papers and share results which qualified as significantly promising innovations. Among the multiple solutions we identified for Todd, below listed are a couple of them which are patented by researchers in the recent time frame. Also Read: Are R&D and Business Strategies of Your Organisation Aligned? Solution One: We know that the two main sources of combined carbon in DRI are carbon monoxide (CO) and hydrocarbons in the reducing gas stream. There have always been some limitations to increasing the amount of carbon monoxide and hydrocarbons in the reducing gas stream. One of the recent inventions discloses recovering hydrogen or carbon dioxide from reformed gas stream. This separation will result in two different streams with distinct chemical compositions- one rich in carbon monoxide and the other rich in hydrogen. The CO-rich gas stream would flow into the transition zone and/or the cooling zone of the reduction furnace to increase the carbon content in sponge iron. The CO level in the CO-rich gas should be at least 70%, which has been preheated in the temperature range 50 to 200 degree Celsius. 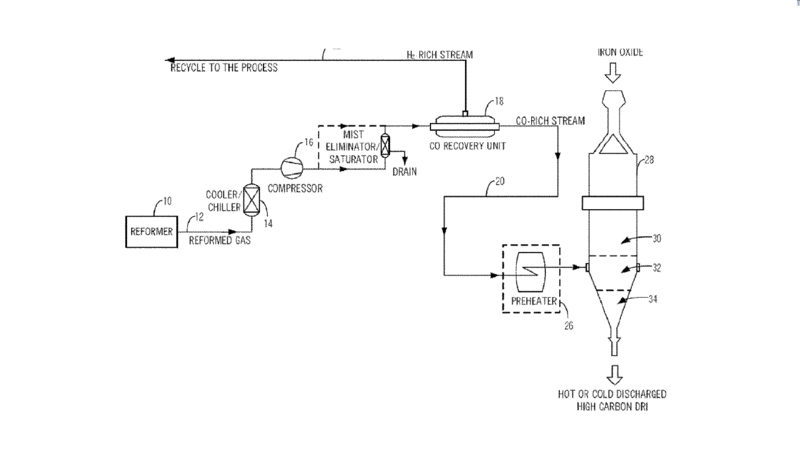 This process has another advantage associated with it, where the rejected gas (rich in hydrogen gas) from CO recovery unit finds utility in different portions of the DR plant. For example, it can be used as a fuel, syngas, or cooling gas. Solution Two: The carbon monoxide and carbon dioxide ratio has a considerable effect on the final content of carbon in DRI product. This can be adjusted by maintaining the operational characteristics of the reformer used for the production of synthesis gas from natural gas. The ratio of vapor to natural gas is adjusted to fall around a value of 3.5. 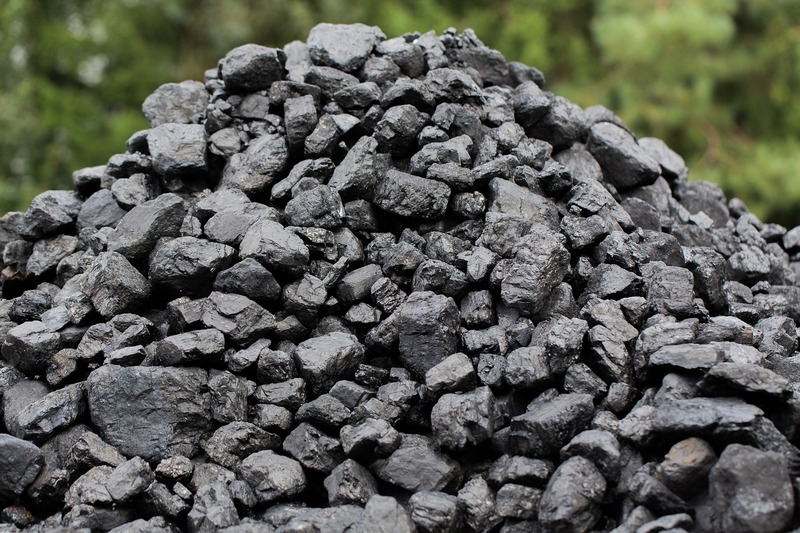 The hydrogen sulfide gas formed during heating of fine ore to reduction temperature or during the prereduction of the fine ore also has a positive effect on the elevation of carbon content in sponge iron. After receiving the output for the above-shared problem, Todd came back to us looking for solutions to another set of problems. Additionally, he mentioned that he wasn’t expecting that getting a solution would become so easy and fast contrary to the huge amount to time he was spending earlier where he himself used to browse through a huge pool of information. Before I approached GreyB for R&D consulting I was up to my chin in work and still could not come up with any breakthrough solutions in my domain. I found it as a great alternative to attending conferences/workshops/seminars/etc. where your problems majority of the times are left with you. The pleasure is all ours, Todd. At GreyB, we live by the motto- “If it exists, we will find it.” No matter what domain your problem lies in, if there exists a solution for it, we will plunge through dark forests and dive deep into the oceans (Metaphorically) to find it. Next time you have problems you want solutions for, give us a chance. You will not be disappointed. PS: While looking for solutions to Todd’s problems, we stumbled across a variety of promising solutions for other problem areas in DRI domain, which if implemented could help you get rid of your DRI woes. Brilliant solutions, they are. If you are researching on making improvements in DRI products or processes and looking for solutions to problems like but not limited to those mentioned below, we could be of great help to you. Get in touch. Reducing carbon footprint– DRI process involves a lot of non-environmentally friendly stages or byproducts. We can help find solutions to reduce carbon footprint. Techniques for producing DRI from iron ores containing high amount of phosphorus- Increasing content of phosphorous in Iron ore can make them highly useful in the automobile industry. Let us help you answer the how’s’. Decreasing the susceptibility of being oxidized if left unprotected. Techniques to efficiently remove impurities like siliceous gangue. Authored by: Deepika Kaushal, Manager, Patent Landscape Team. Like Todd, we earlier helped Peter, a senior R&D manager at one of the fortune 500 companies, helped find a solution to one of the prominent problems in wireless charging. We have a sponge iron (DRI) smelter, 2 Kilns, coal base instead of gas. Located in Kalimantan – Indonesia. Our Carbon content of DRI is .17 – .22%. Our customers want .15% max. Are there some ways how to reduce it?